Established in August of 2016, The Sliding Glass consists of three friends: Jay, Tyler, and Andy. Formed from the ashes of previous musical projects, including Jay and Andy's jams from years prior in Bloomington, a new city and a new start in Indianapolis created instant excitement and a bond through music. 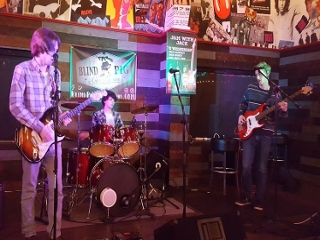 After several jam sessions together, they decided to establish a blues-rock band influenced by The Black Keys, Led Zeppelin, and The Doors among a mesh of musical repertoire both classic and contemporary. Tyler and Andy provide the foundation of sonic landscapes painted with Jay’s artful guitar licks. 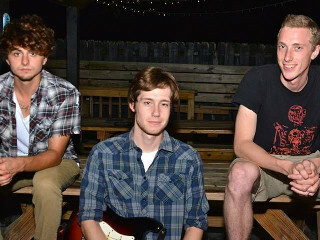 Their improvisational style and extensive original content promise a unique performance at every show, each one a fulfillment of the group's mission to Give Life Back to Music.